Four-Time Olympian, Incredible Olympic Story, Leadership, Sales, Change and Attitude Lessons Your People will Never Forget. Sought after by companies all over the world, Ruben's message has encouraged thousands to find the champion within them. Since 2002 Ruben has spoken for over 100 of the Fortune 500 companies. People walk out of Ruben's presentations thinking, "If THAT guy could make it to four Olympics, then we can do ANYTHING!" A seemingly "ordinary guy," Ruben Gonzalez wasn't a gifted athlete. Inspired by watching Scott Hamilton, Ruben took up the sport of luge when he was 21. Against all odds, four years later he was competing in the Winter Olympics. At the age of 47 he was racing against 20-year-olds in the Vancouver Olympics - becoming the only person to ever compete in four Winter Olympics each in a different decade. Ruben believes that most people allow fear of failure to keep them from being the best that they can be. Most people can do so much more... but they're afraid. They're stuck. Ruben's mission is to inspire and equip others to face their fears and passionately pursue their goals. To embrace change and win. He does it by sharing the story of how he went from being a bench warmer in his college soccer team to a four-time Olympian in the sport of luge. Ruben's story takes people's excuses away and gets them to take action. It wakes them up and inspires them to win. People leave his talk thinking, "If that guy could make it to the Olympics, we can do anything!" People need to be inspired by great stories of achievement. They need inspiration to have the courage to face their fears so they will be more productive and so that they will create a ripple effect of success everywhere they go. "Sport stories have the power to change the world. They have the power to inspire. Sports stories can create hope where once there was only despair." Ruben is proof that ordinary people can achieve extraordinary things if they will follow a few simple steps. From Dubai to Bogota, from Singapore to South Africa, from Hanoi to Stockholm, Ruben has inspired and motivated audiences around the world. With over twenty years of sales, marketing, and business experience, Ruben is an expert on creating and sustaining business growth...FAST. "If you will listen to Ruben speak, your life will change." Ruben will show your people how to develop the "Olympic Mindset," a strategic way of thinking that will make: your people more productive, and your organization more profitable in ANY economy. He'll share how to develop the mental toughness of Olympic athletes to win more sales, dominate your market and leave your competition behind. Business improves when people in the business improve. Ruben's incredible story takes people's excuses away filling them with the confidence they need to become unstoppable in these uncertain times. "In the 20+ years I have been a member of NAHU, working with speakers during our annual meeting, I have heard and worked with some great ones - Terry Bradshaw, Steve Young, Joe Theismann, Mike Krzyzewski, Johnny Bench, and Lou Holtz to name a few. After your terrific presentation last week I had many members come up to me and say you were the best they had heard. The long standing ovation you received is a testament to that. I also found you one of the easiest speakers to work with. Thank you again for sharing your story with us. 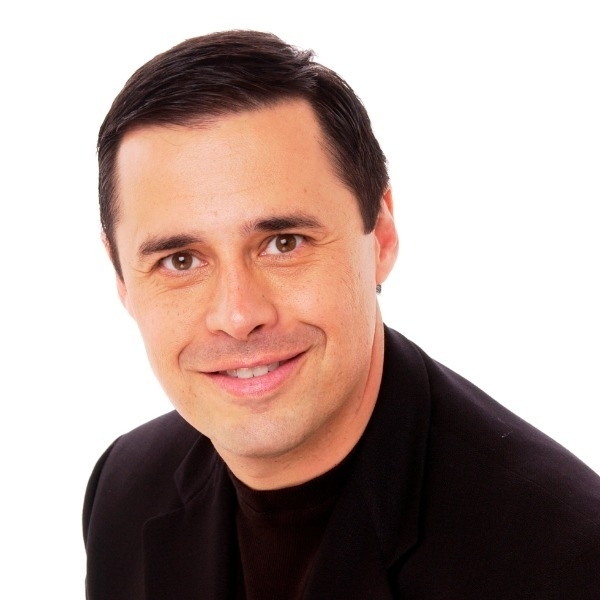 I strongly encourage anyone who needs a great speaker to consider Ruben Gonzalez!!" As a Four-Time Olympian, peak-performance expert Ruben Gonzalez knows how to achieve success again and again. A master storyteller, Ruben uses his Olympic experiences to inspire audiences to think differently, live life with passion and have the courage to take the necessary steps toward their goals - to push beyond self-imposed limitations and to produce better results. Ruben's story will fill your people with the spirit of teamwork, commitment to excellence, and personal dedication they need to succeed. His powerful keynote is guaranteed to motivate your sales people to sell more. Ruben's appeared nationally on ABC, CBS, NBC and the FOX Business Channel. He's been featured in Time Magazine, BusinessWeek, CNN Business, the New York Times as well as publications around the world. His articles on peak-performance are read on every continent. His books, "The Courage to Succeed," "The Inner Game of Success," and "Fight for Your Dream" have been endorsed by Stephen Covey, Ken Blanchard, Brian Tracy, Rudy Ruettiger, Pat Williams, Mark Victor Hansen, Wally Amos and Dr. Robert Schuller. They've been translated to Spanish, Chinese, German, Polish and Indonesian. Mega best-selling author Jack Canfield features Ruben Gonzalez's incredible story three times in his new book, "The Success Principles." Canfield uses Ruben's story to illustrate three of his success principles; believing in yourself, taking action, and not procrastinating. and he has an incredible story to boot!" His client list reads like a Who's Who of Corporate America: Dell, Coca-Cola, Farmers Insurance, Ortho McNeal, the Million Dollar Round Table, Oracle, Wells Fargo, Century21, and even the U.S. Treasury Department. Ruben has spoken along side speaking legends Zig Ziglar, Denis Waitley, and Tom Hopkins. He co-stared in the motivational movie "Pass It On," with Les Brown and Ed Foreman. They've hailed him as a leader of a new generation of personal development speakers. His style is genuine and down to earth. He's funny yet hard-hitting, insightful, and passionate. Botton line, Ruben is totally unique and unforgettable. "Ruben WOWED our sales group. The week after Ruben's presentation our sales were up tremendously." * Associate Producer of the Napoleon Hill Foundation's movie about perseverance, "Three Feet from Gold,"
* Co-star of hit motivational movie, "Pass it On,"
* Frequent radio and TV guest – ABC, CBS, NBC, FOX Business, etc. * Bestselling author of "The Courage to Succeed," and "Becoming Unstoppable,"
* Torch Bearer at the Salt Lake City Olympics, Mountain Climber, Ran with the bulls in Pamplona! Ruben will inspire and equip your people to achieve more than ever before. "Ruben's incredible story inspires people to be their best." Ruben's found the formula for sustaining success. As your people listen to Ruben's story, they'll learn what it really takes to get to the top and more importantly, once they are at that level, how to sustain it year in and year out. His incredible story will inspire your people to excel. Ruben will move your people showing them what is possible if they will make a decision to commit fully to their goals. "Invite Ruben to speak to your group and you'll be glad you did." Judge for yourself. Watch Ruben's demo video. It's so good you'll want your family to watch it. Then call us and find out what Ruben can do for your organization. Call today. Ruben's schedule fills up fast!